A brief recap of what the much-decried food label really is (so you don't look uninformed when you laugh about this video at work): GMOs – genetically modified organisms – are made when the DNA of an organism (this can be a vegetable, starch, fruit, fish, a PLATYPUS EVEN) is mutated in order to last longer, look more appealing, resist certain pesticide, etc. Since there are no long-term studies of GMOs do to us, and almost every single country on the planet (including Russia , you guys) have banned the import of genetically modified foods, it’s safe to assume this test tube creation is sketchy at best. 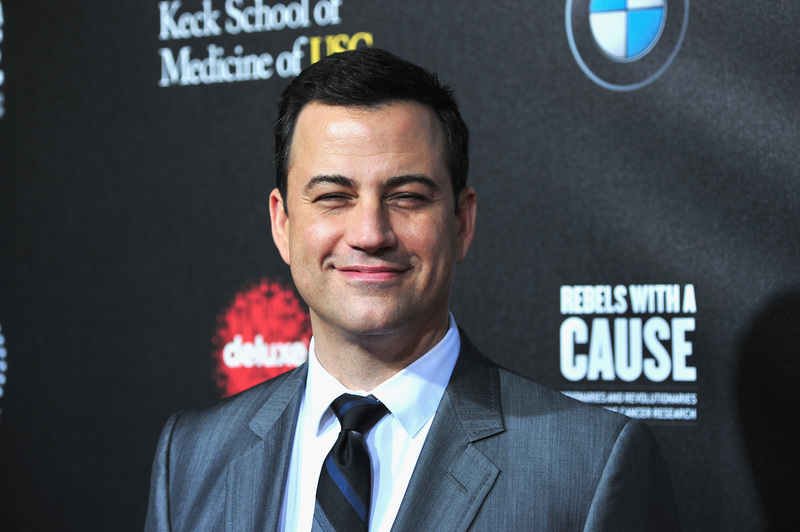 However, Kimmel points out that GMOs are a complicated issue, and there isn’t a ton of bona-fide evidence that proves GMOs cause health risks, as many claim. So, basically, no one has any real clue about how harmful GMOs are, or in what ways. That hasn't stopped Basic America from being wholly opposed to them (even if they completely have no idea what GMOs are.) Rallying against GMOs is kind of the coolest thing to do right now (besides post photos of your paleo lunch on Instagram). Kimmel points out that there is a plethora of anti-GMO documentaries, anti-GMO legislations, and anti-GMO Facebook posts — we’re all over this GMO business, because if we have something to be angry about, we’re gonna go big or go home! But how many of us even knows what GMOs are? Kimmel's segment wasn't without a bit of legitimate info: the host covered the fact that 80 percent of foods that are labeled as "natural" are actually made with GMO products, stating, “[this] makes it unclear as to whether they are natural or not, because they grow…but they’ve been modified in a laboratory or whatever.” This ambiguity and misrepresentation of supposedly “natural” ingredients seems to be totally chill with the FDA “as long as it says JK LOL on the back of the product,” Kimmel jokes. It’s actually a pretty big deal that foods labeled as “natural” are being made with GMOs, since GMOs are definitely not natural.